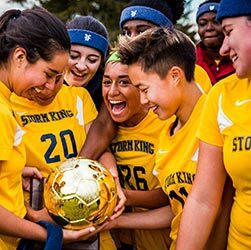 Visiting The Storm King School’s campus during the application process is an important factor in determining whether SKS is the right fit for you. What better way to learn about our philosophy, programs, and people than by a visit? See how our community of teachers, coaches, and classmates can help you achieve your highest aspirations. You can attend classes, meet teachers, coaches, club advisors, and our current students. You will come away with a sense of whether The Storm King School might be the right fit.